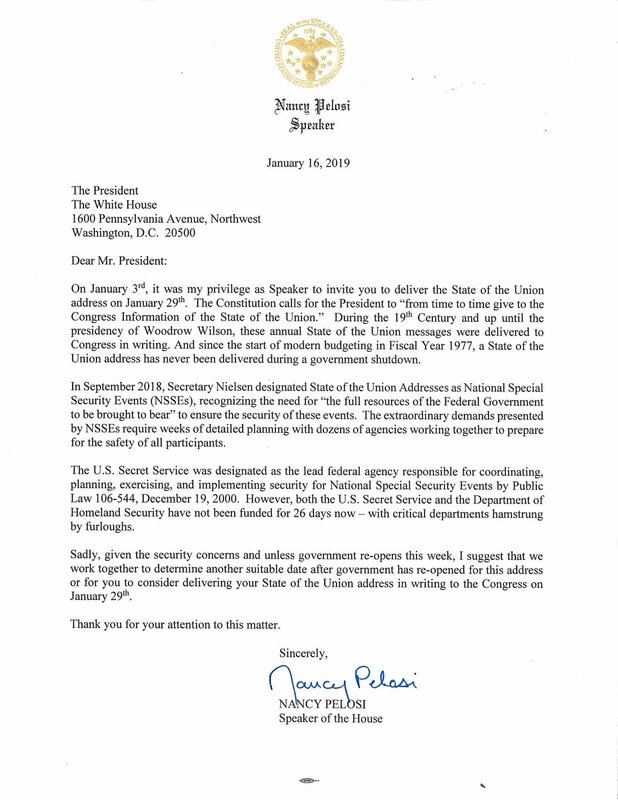 President Trump has reportedly called Speaker Nancy Pelosi's bluff and will give the State of the Union address in front of Congress. Pelosi has refused to compromise on immigration in order to reopen the government. She has not made any indications that this will change anytime soon.